Grand Ballroom | United Portuguese S.E.S. Inc. The crowning jewel of our center, it features rich partial wood paneling, original vintage hard wood flooring and vaulted ceilings with elegant, modern lighting. 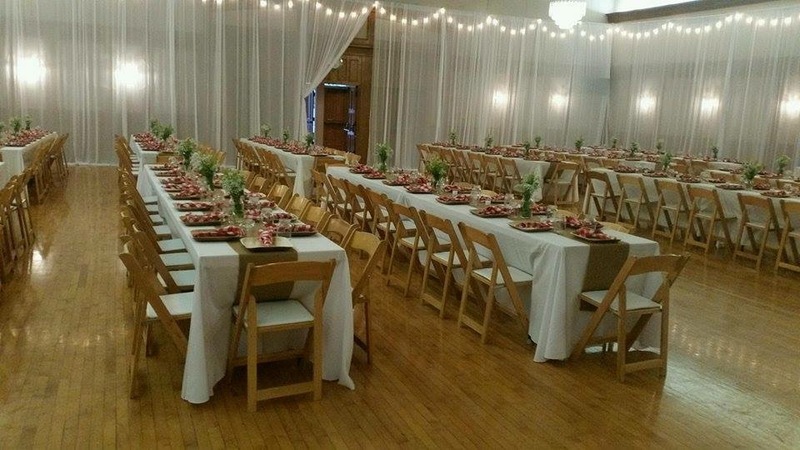 An exceptional space that can be personalized for any event. Parties, weddings, business functions, conferences and everything in-between. Delivered with perfection. Capacity 375. Every component – from the tables, to the tableware and the chair covers, can be customized to suit your every desire. 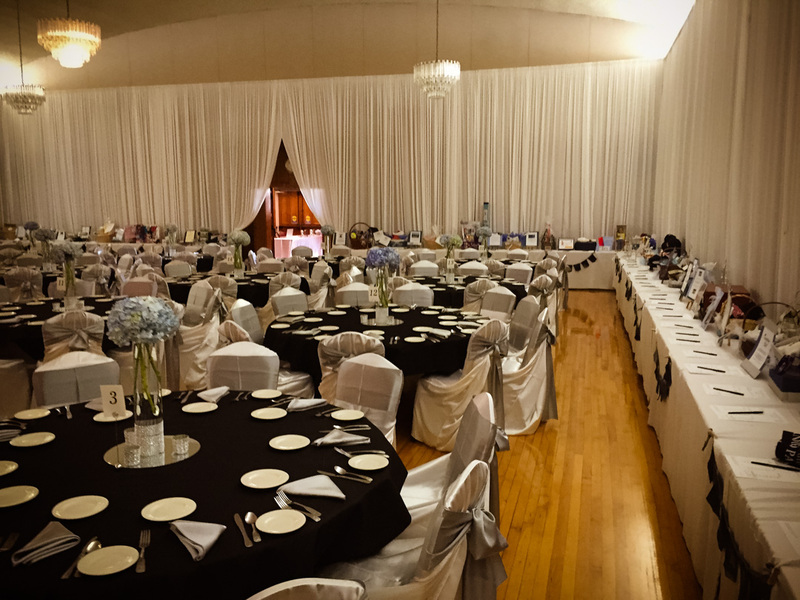 Using soundproof partitions, we can also offer you the option of dividing the ballroom into three rooms, each serving 125 guests. 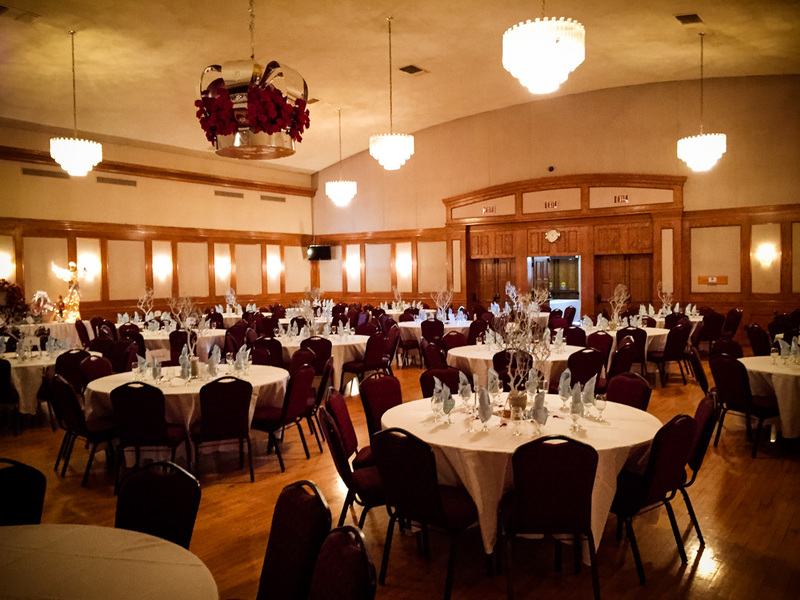 The Grand Ballroom has multiple entrances, utilities, and audio-visual hook-ups. The main stage provides a space for entertainment along with access to a full state of the art kitchen. 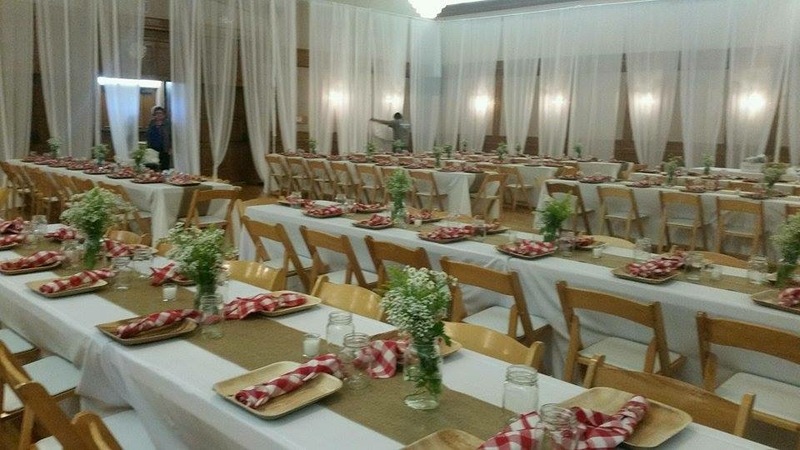 For additional event and function space are available for intimate gatherings, rehearsal dinners and brunches, contact our Hall Manager for more details.